Just a heads up that we will start a two day blog hop for the Gina K. Designs newest release bright and early tomorrow morning! I made this card using Lisa Hedrick's newest set called Today and Always. Be sure to join us tomorrow and I'll see you then! The Open Book card is elegant - and achieved your goal. 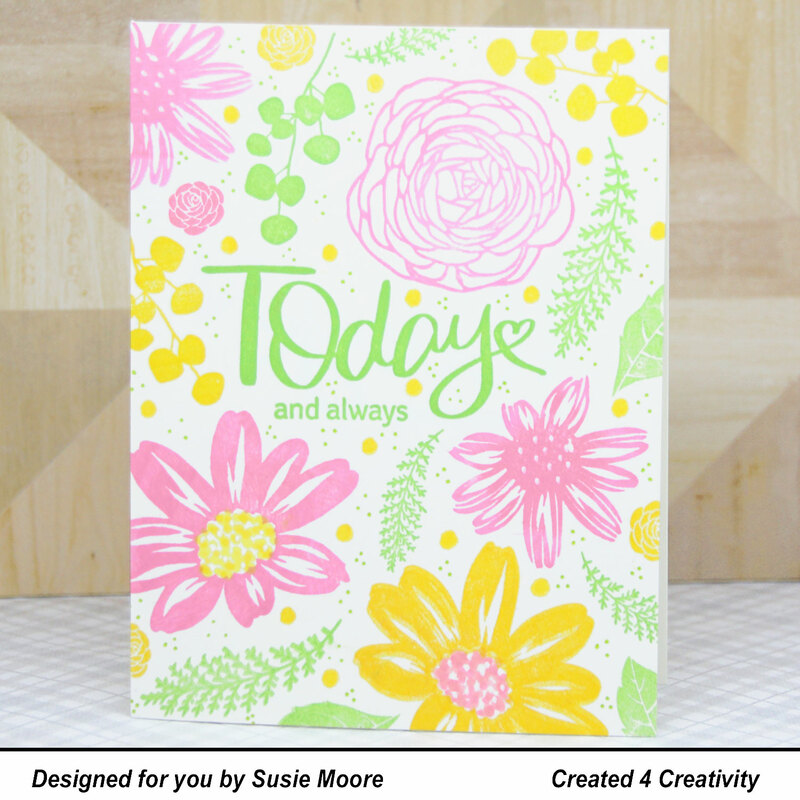 The Today and Always card is happy! Both cards are great. Stamp sets are very versatile! Great blog hop. Love this card, especially the colors! Wonderful happy cards. So pretty. Bright and springy colors. Really like this. Beautiful job especially on the book pages 🥰 ! After watching all the videos I just purchased the stampset with all the dots. Cannot wait to make some of the beautiful vibrant cards you have inspired me to do and given me faith that maybe I can do it as well. Havent had to much lyck with watercolor but I am going to try again.